It includes the georeferences of Mexican vascular plants used in analyses. The tree file from PhyloMaker including all Mexican vascular plant species. Mexico is considered an exceptional biogeographic area with a varied and unique endemic vascular flora that is estimated at half of the global total of approximately 24,500 species. However, spatial phylogenetic measures of biodiversity for this flora have not yet been estimated to understand how the Mexican flora assembled to form current vegetation. 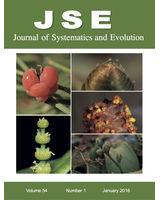 Patterns of species richness, weighted endemism, phylogenetic diversity and weighted phylogenetic endemism, as well as centers of neo- and paleo-endemism were determined to examine differences and congruence among these measures, and the implications of these results for conservation. Out from 24,445 vascular plant species 10,271 (42%) are endemic to Mexico. Areas of endemism and phylogenetic endemism were associated with zones of topographic complexity in the main mountain systems, in the deserts, and in isolated dry zones. Every single locality that seasonal tropical dry forests have been reported in Mexico was identified as an area of endemism. Areas of significant phylogenetic diversity were the most restricted and occurred in dry forests of the Trans-Mexican Volcanic Belt and of the Sierra de Chiapas. The highest phylogenetic clustering comprising neo- paleo- and super endemism was identified in the southern extreme of Mexico. The flora of Mexico bears a signature of mixed neo- and paleo-endemism, and areas of endemism occurred in dry forests. The majority of vascular plant ineages diverged in the Miocene (5-20 million of years ago) when arid environments expanded across the world. The position of Mexico in the middle of two landmasses and the presence of more than fifty percent of arid surface favored the establishment and diversification of tropical lineages adapted to extreme seasonality and to aridity that migrated from North America and from South America. Our results identified areas of elevated species richness and phylogenetic diversity and provide a foundation on which to propose conservation efforts in Mexico.